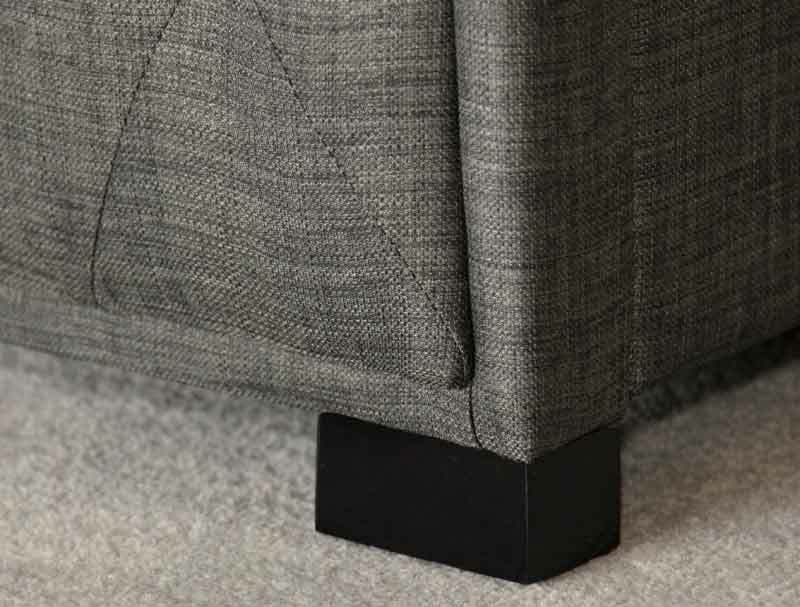 The Alberta is new and offers a super strong lift up ottoman base fabric covered in either Grey or Stone colour linen style fabric. 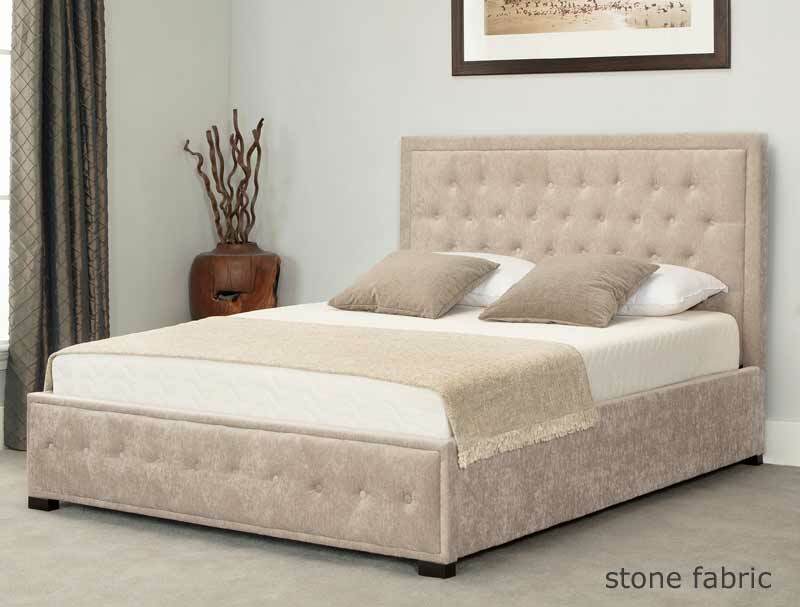 The Alberta end lift ottoman bed frame comes with a multi buttoned headboard and a footboard with a single row of buttons . 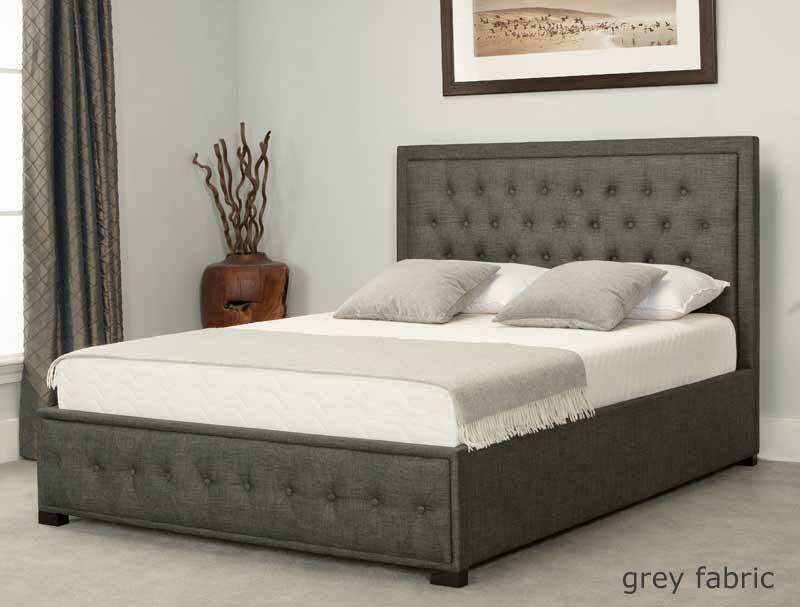 The Alberta bed frame is available in 3 sizes Double, king & super King size and is supplied flat packed for home self assembly with a sprung slatted base. Delivery is available free of charge to most area . 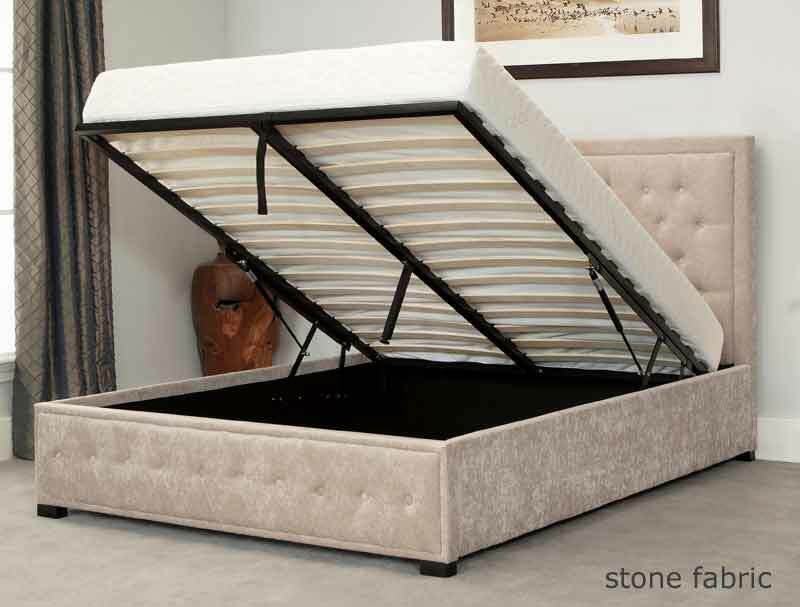 Please note the importer does not deliver to Isle Of Man, Isle of Wight & Channel Islands these areas can be arranged at a cost of £60 10-14 day Delivery , The following Scottish postcodes will cost £40 KW, IV, PH, AB, PA, DD, FK, KA, KY, and take 3-5 days . 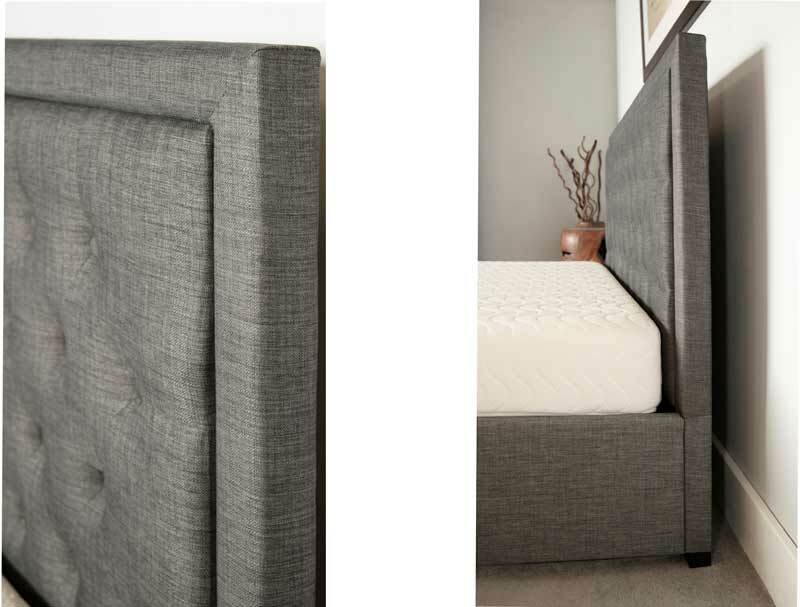 Please note we would not recommend a Tempur mattress or any mattress heavier than 50kg on the super king size frame. 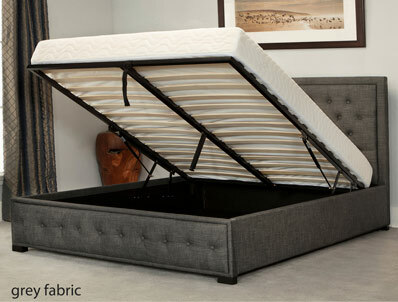 Please note with all imported Fabric ottoman frames , they only have 2 gas pistons , while this is not a problem on double and king size it can have issues on a super king size as the pressure of the mattress on only 2 pistons can be quite strong.